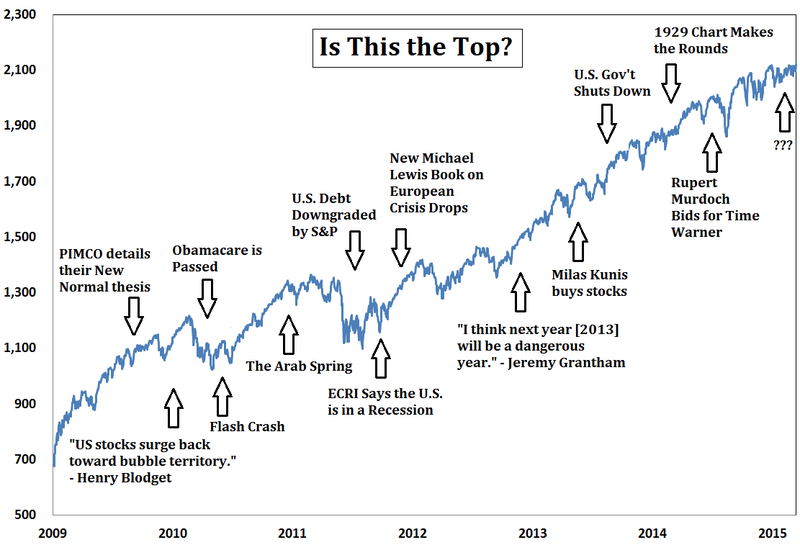 Carlson: Is This the Top? Ben Carlson, who is the Director of Institutional Asset Management in our shop, cranks out some of the most insightful — and mind-blowing — commentary on the internet. The chart above is a direct indictment of some of the less informed nonsense regularly trotted out during any market debate (go read the entire thing here). If you are managing a pension fund, endowment, or any other institutional set of assets, and not following A Wealth of Common Sense, you are doing your investors a huge disservice.